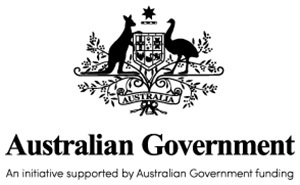 Advance, together with the Australian Federal Government (through the Department of Industry, Innovation, Science, and the Department of Foreign Affairs and Trade), identified a need to showcase the work of current and emerging Australian leaders living abroad through the introduction of the Advance Global Australian Awards, as well as provide a unique opportunity to mentor our next generation of Australian leaders. New ideas, technologies, products and services are the key to growing a stronger, more competitive economy and building a more socially inclusive society. The annual awards were established as a means to build a culture that fosters these innovations among Australians and Australian businesses and promote Australia's world-class educational institutions. The inaugural Advance Awards were held in 2012. Read more about the past winner at the CATEGORIES page. Are the Awards open to the public? Yes. Information on eligibility and selection can be found at the ABOUT page. Information about the individual categories and past winners can be found at the CATEGORIES page. Individuals can nominate themselves based on a pre-determined set of criteria. Individuals can nominate others based on a pre-determined set of criteria. The selection panel will be appointed for approximately two years or more and will not be remunerated for their involvement and will aim to reflect Australia’s diversity and endeavour to include representatives with varying industry and cultural backgrounds. They will include eminent Australians living both abroad and in Australia. The selection panel will be chaired by the Advance Founder and Chair Emeritus and will consist of a minimum of five and a maximum of twelve voting members. Advance staff may submit nominations but do not serve on the selection panel or in any way participate in or influence the voting. More information can be found at the ABOUT page. When do nominations for the Awards close? Nominations for the 2019 Advance Awards closed at midnight on Friday, 1st March 2019. What are the selection criteria for an Award nominee? Detailed information on eligibility and selection can be found at the ABOUT page. How do I apply to be mentored by an Advance Award winner? Final year university students (at the undergraduate or postgraduate level) across Australia are encouraged to apply for the Advance Awards Mentor Program. To apply, students must complete an online application form with their personal details and outlining why they should be selected. More information can be found at the MENTOR PROGRAM page.